Get A Fair All-Cash Offer for Your San Fernando Valley Home. We are a Local Home Buying & Real Estate Solutions Company. If you are you saying to yourself “I need to sell my house fast in San Fernando Valley,” you’re at the Right place. At Solution Home Buyers, we buy houses anywhere in the San Fernando Valley and surrounding Southern California areas. See How Our Simple 3-Step Process Works. We can give you a fair offer for your house within 24 hours. If you want to sell your San Fernando Valley house … we’re ready to give you a fair all-cash offer. Stop the frustration of your unwanted property. Let us buy your San Fernando Valley house now, regardless of condition. Finally, you no longer have to deal with agents, open houses, inspections, repairs and the uncertainty of when your house will sell. 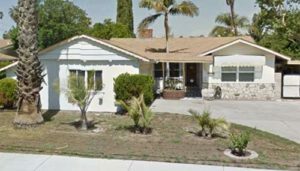 We can buy your San Fernando Valley house….just like this one on Bassett St. Are you saying to yourself “I need to sell my house fast in San Ferando Valley?” We can buy it as-is! Get your fair offer today! It doesn’t matter what your situation is…you can be living in the house or renting it out. It can be vacant, or not even habitable. Solution Home Buyers helps homeowners resolve all types of problems situations. We help owners who have inherited a property they don’t want or own a house that is vacant. We’ve assisted homeowners who are behind on their payments, owe liens or they want to downsize and just can’t sell. We help those who are tired of dealing with bad rental tenants and want a solution. Some had a house that needed costly repairs that they couldn’t afford…and yes, even if the house is damaged by fire. Even if you just want a quick sale without going through the long process of listing with an agent. To put it simply, if you have a property and are saying to yourself “I need to sell my house fast in San Fernando Valley”… we’d like to make you a fair cash offer and close escrow on the day of your choice. The process is very simple…we will gather some basic information and do a Free Evaluation of your situation which only takes about 24 hours to do and will show you what options are available that best suits your particular situation and needs. Let’s face it, selling your house the traditional way using an agent can be a very time consuming and stressful task, including: finding an agent you trust that can deliver, signing an agreement that binds you for many months, cleaning and staging your house so it shows well, making necessary repairs, showing the house to other agents and buyers, waiting for buyer loan approval and hoping escrow closes so you don’t have to start the whole process over. Even if you’ve tried selling your house with an agent but were unsuccessful, we can help. (There are times when using an agent is not your best option). Try to coordinate with movers and the packing of all your belongings with the close of escrow… hoping escrow will close on time…or even close at all only to start the entire process all over again. Unlike selling through an agent, you don’t have to wait to see if the buyer can get financing… we’re ready to buy right now! All that hassle can add stress, months to the process, and in the end after paying the agent’s expensive fees, closing and repair costs, you may actually walk away with less cash in your pocket. We work differently at Solution Home Buyers. When you say to us “I want to sell my house fast in San Fernando Valley” and submit the short property information form (below) or give us a call at (818) 392-4845, we’ll do a FREE Evaluation of you situation and give you a fair all-cash offer on your house within 24 hours… and the best part is: we can close whenever YOU choose to close – it’s entirely up to you. Our goal is to help find the best solution to the situation that you’re facing that will get you out from under the property that’s stressing you out… while still paying a fast, fair, and honest price for your house. We help property owners, who are saying I need to sell my house fast in San Fernando Valley, find solutions for all kinds of situations. From divorce, foreclosure, death of a family member, burdensome rental property, and all kinds of other situations. 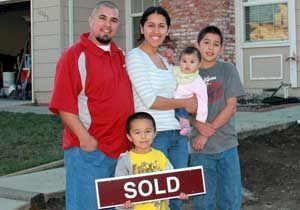 We buy houses in San Fernando Valley and surrounding areas and pay a fair cash price, fast. Selling a property through a realtor can be a very long, time-consuming stressful process. Sometimes, those who own property simply have lives that are too busy to take the time to do all of things that typically need to be done to prepare a house to sell on the market… if that describes you, just let us know about the property you’d like to be rid of and sell your house fast for cash. If you simply don’t want to put up with the hassle of owning that house any longer, and if you don’t want to put up with the time-consuming hassle and expense of selling your property the traditional way, let us know about the property you’d like to be rid of and sell your house fast for cash. You can talk to someone in our office before submitting your property information by calling us today at (818) 392-4845.